Nickelodeon acquired the rights to the epic Teenage Mutant Ninja Turtles franchise and brought back the heroes in a half-shell for a whole new generation. I was creatively involved in the development and execution of the brand campaign, including the official site, games and content. 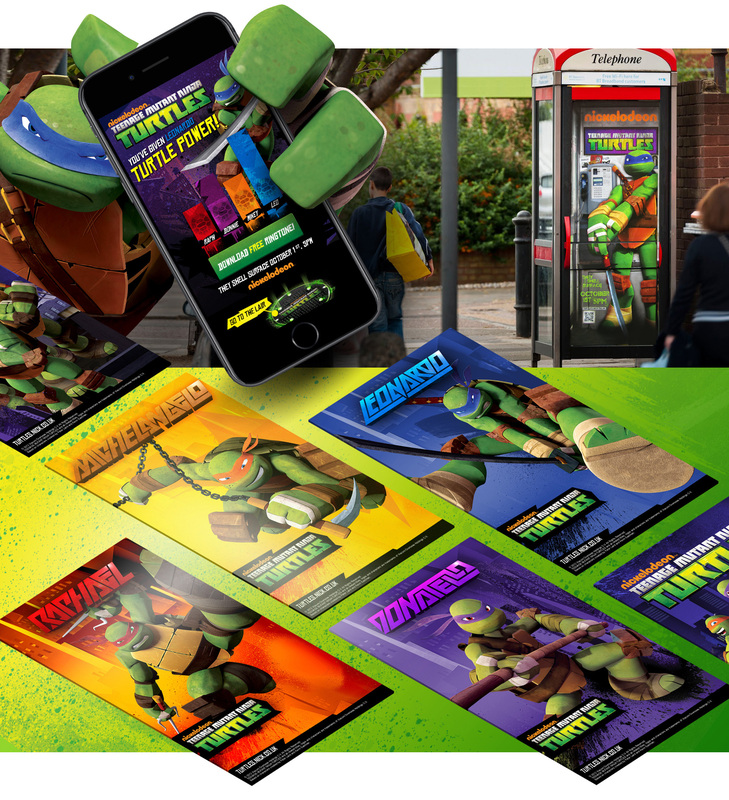 Across the UK, 2500 phone boxes were adorned with each of the Teenage Mutant Ninja Turtles. Each box featured a QR code that gave fans access to a free download of the show's theme tune and digital fan kits full of additional graphics and goodies. As an extra slice of fun, each QR code also increased the individual 'Turtle Power' score for the radical dudes and encouraged fans to hunt down and support their favourite Turtle. I produced and art directed a turn-based fighting game that reintroduced the villainous fan-favourites Bebop and Rocksteady back into the TMNT franchise. The key demographic of kids aged 5-9 years old meant that the game mechanic had to be simple, fast-paced, engaging, but also packed full of humour and action. It was important that the game reflected the core brand values: heroism, brotherhood and teamwork. 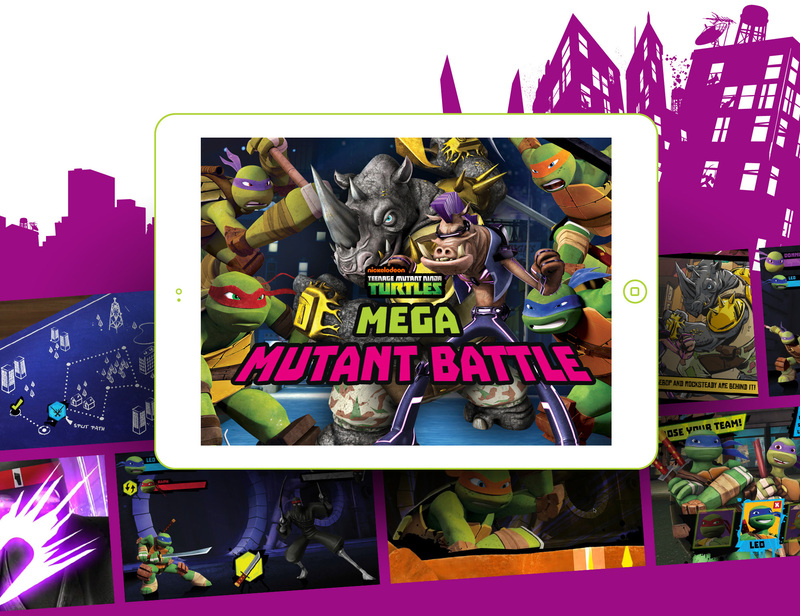 Our solution was to produce TMNT 'Mega Mutant Battle'. The game only required simple screen-tap inputs alongside a time-based aiming system that resulted in action-packed and amusing outcomes. As the user battles their way across New York City as a Turtle tag-team, they face the evil Foot Clan and head towards their final showdown with the mutant henchmen Bebop and Rocksteady! To keep the fans coming back for more, we made it possible upgrade the individual stats and special moves of the Turtles and we also offered multiple routes to complete the game.